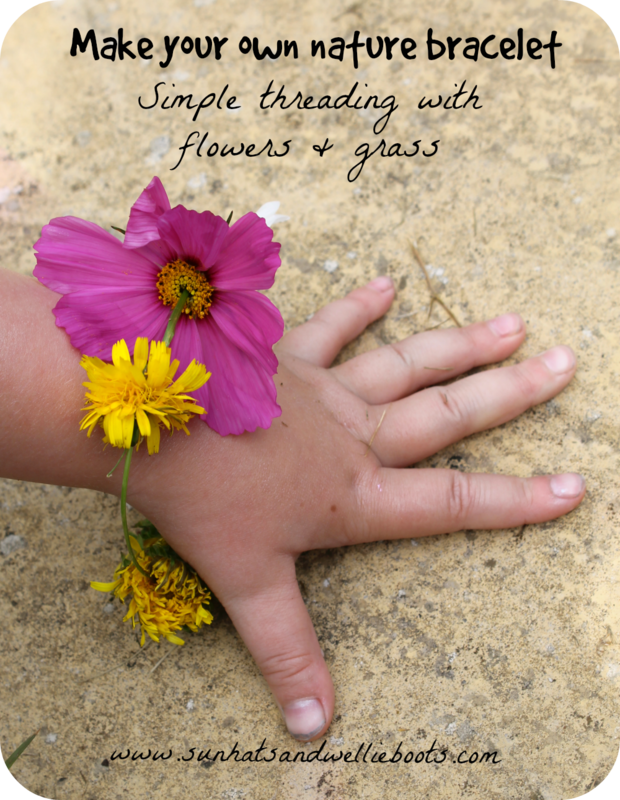 This simple threading activity is perfect for little hands to create whilst out & about. 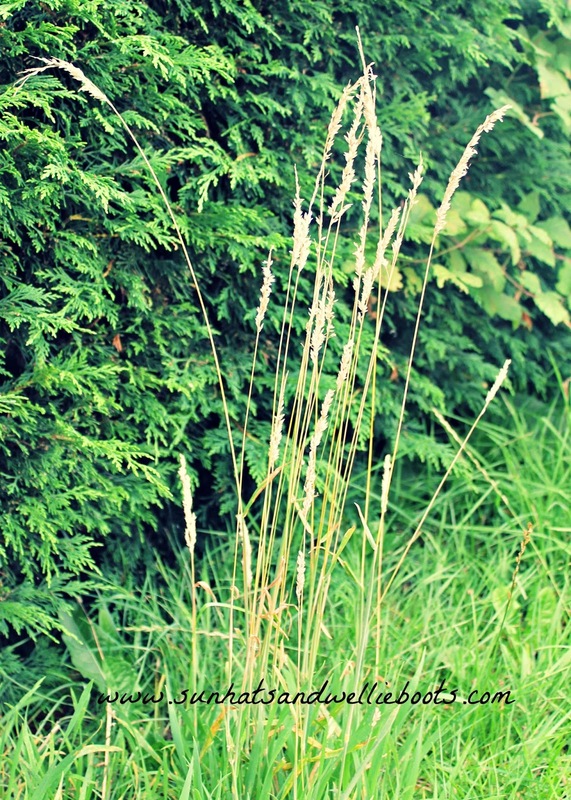 Made entirely from items found on a nature walk, all you need is a long strong piece of grass to thread your natural finds onto & you're all set to make some beautiful unique jewellery. 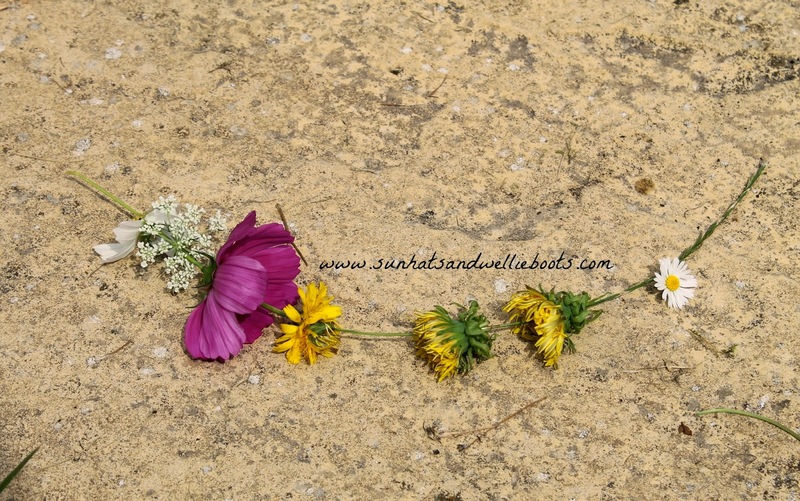 We found a few colourful flowers while on a walk last week & discovered we could use the sharp end of the grass to act as a needle to thread the flowers. 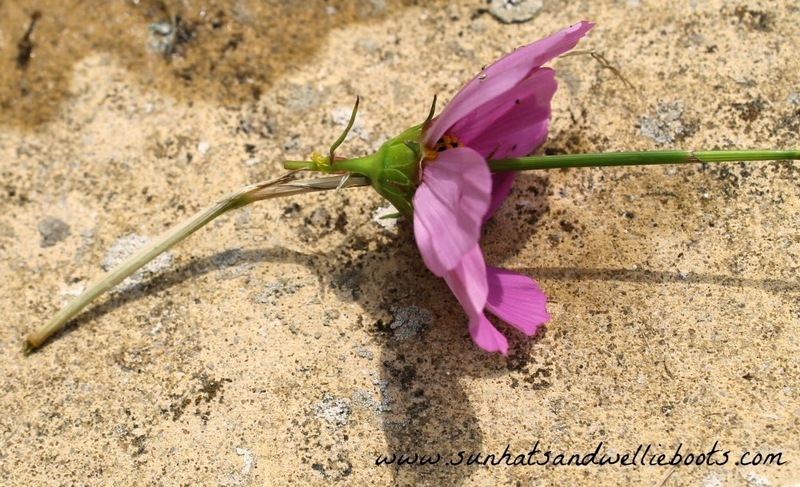 You could thread the flower stems onto the grass in the same way you would thread a daisy-chain, but we found it was easier to thread the centre of the flower head onto the grass & slide it along before adding the next item. Minnie continued to thread her finds until she was happy with her collection. To secure the bracelet we simply tied the ends of the grass together in a knot. 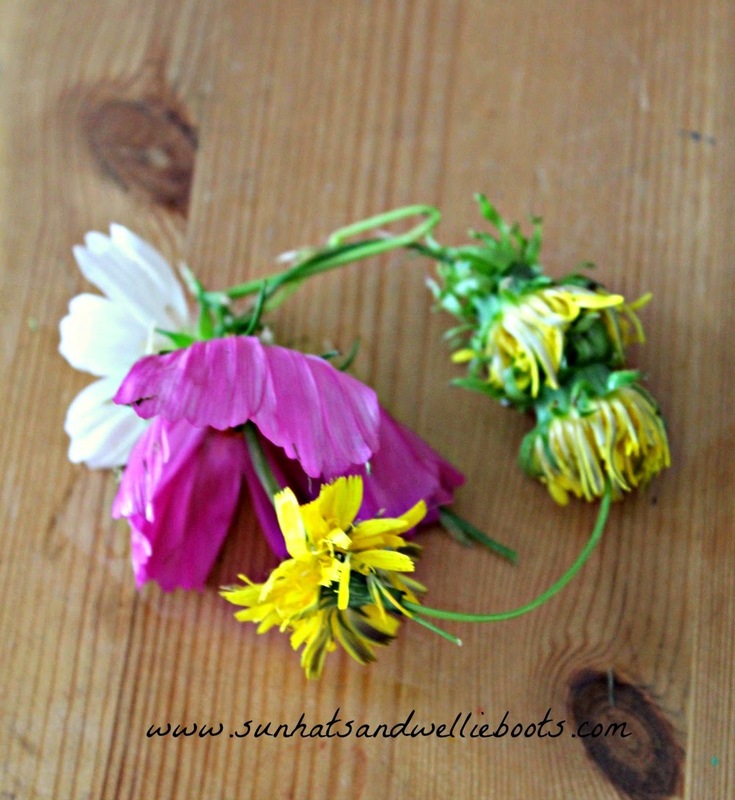 This simple activity was a great way to explore nature & the various wildflowers that lined our route. It also inspired a little creativity, & encouraged some fine motor skills while manipulating the delicate materials. Obviously, the bracelets won't last forever but there is something magical about creating your own nature jewellery & wearing it.